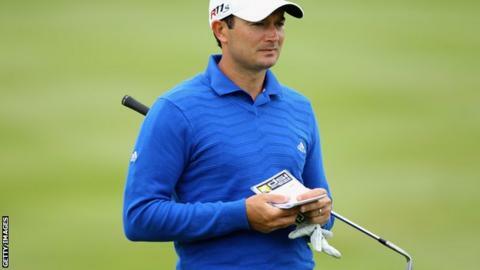 Ballyclare golfer Gareth Maybin missed the cut at the Joburg Open in Johannesburg despite carding a second round of five-under-par 66 on Friday. Maybin finished on three under, one off the cut mark, after posting seven birdies and a double bogey in one of the best rounds of day two. South Africans Trevor Fisher Jnr and Richard Sterne lead on 15 under, with George Coetzee third on 12 under. Damien McGrane also missed the cut on two under following a second-round 75. Maybin began the tournament with a 74 on Thursday, just days after securing a tie for 12th place at the Dubai Desert Classic.